This article provides details about the web based job view, which is used by contractors who receive a ServiceM8 Network Request but don't have a ServiceM8 account. Note, you may not see all of the sections shown in this example, depending on the details provided by the sender of the Network Request. 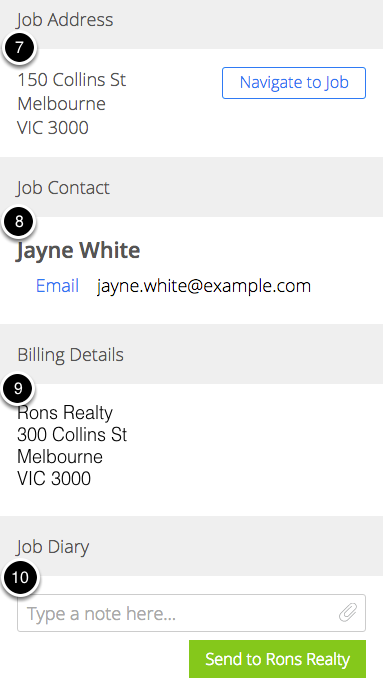 For example, the Navigate to Job button won't be shown if no job address is supplied. If you would like to receive notifications when the business sends you a message or attachment regarding this request, you can enter your mobile/cell number here. If you change your mind, you can remove it at any time. 5. A list of job requirements that the requester has specified. All job requirements must be completed in order to mark the request as complete. 6. 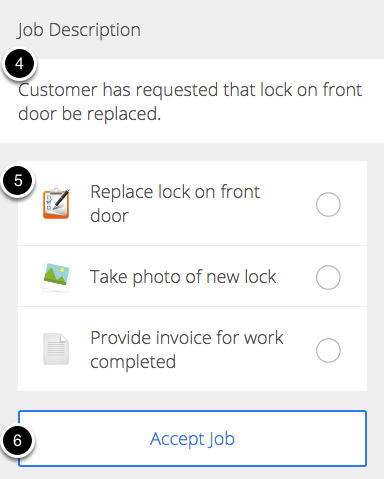 The Accept Job button will notify the requester that you have accepted the request and the work is in progress. After you have accepted the request, the button will change to an In Progress / Completed indicator. 7. 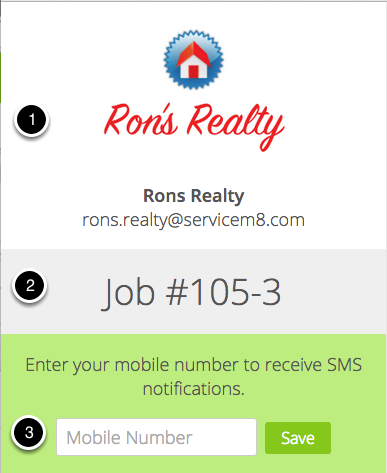 Job Address specifies where the work is to be completed. You can click the "Navigate to job" button to view the location of the job, and navigate to it if you are using a supported device (this will work on most modern smartphones).